Lately, there’s been a few articles written by writers about using Pinterest as a writer. In fact, Bob Mayer has just posted from attending the Digital Book World Conference where he learnt about Pinterest also. 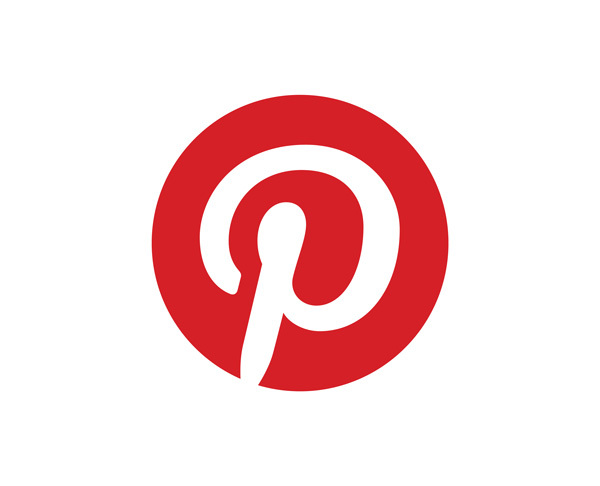 I’ve used Pinterest for a long time now, as a crafter and within the design industry. But now I decided to try it out from a writer’s viewpoint. As a long-time user of Pinterest, I have personal boards put together with all sorts of images – I have collections of garden images, home decor images, a collection of treehouse images that combines the best from all over the web, collections of offices and studios, organisation ideas, quotes, and other inspiration. But my writer side couldn’t put the two together until today. Writing is such a text based thing, and Pinterest is all about images. But other writers are lately discovering Pinterest, and using it primarily for creating storyboards of images for their fictional work, it seems. Which is exactly what I went and did, along with creating some other boards with a writing slant. Within only a matter of minutes, some of those pins (images) on some boards were repinned by others using Pinterest, which I found compelling. As a means to publicise some of your work or efforts via a social network, perhaps Pinterest is well worth a look. As a long time user of Pinterest, I have invites for others to give out. If you’re interested in Pinterest and can’t wait for an invite, or for the site admins to get back to you, feel free to contact me, with your email address, and I’ll send you an immediate invite.You can use a Twitter or Facebook profile to log in, once setup. I’ve always collected images for my WIP fictional work – images for settings, characters, and even appropriate screenshots. Images for mindmaps and other graphical work I’ve put together in the planning stages. With many of the writing software packages you can choose from nowadays, many contain research, notes or gallery areas where you can assemble such images. But Pinterest allows you to assemble a whole big storyboard of images from across the net by simply browsing. I stuck one together as a trial for myself today. Here’s a quick screenshot of my WIP (working title – Blue Suburbia) storyboard. Note that Pinterest images pinned off the net (using a browser Pin it button) also brings in the URL for the image, which is irrelevant mostly for a fiction author -so, beware that if you’re putting up, say, an image of a real life person who you are calling your mindblowingly evil antagonist, that the image will point to your real life victim who happens to have his or her photo up on the web. And he may be a bit evil about that. Best of My Blog Posts – this is a test board to see if simply linking through to some of my own best blog posts will bring a new audience through. Pinterest viewers are attracted to visual cues – the images that are used to pin the topic onto a board. This means that your blog posts need to have some good images on them to allow the pin. Or at least, your website should have an identifiable logo image or similar. Books I’ve Enjoyed Reading – a standard board when you start at Pinterest is a Books board. I have previously not used these boards, but decided to have one this time around. I’ve only added one book so far to this particular board – The Hunger Games – and immediately my Pin was repinned by several others interested in the YA books. Writing Craft Books – I’ve added a few I thoroughly recommend, and have had one repin so far. This seems an excellent way to recommend crafting books without having to give them a full review on a blog post. I’ve linked through on images from amazon.com where the Pinners can purchase or read full reviews. Pinterest allows you a little bit of text for each Pin. Tech for Writers – another interesting way to provide recommendations without doing a full blown review. I visited the software websites, and pinned images of my favourite writing software, apps plus gadgets. A couple have already been repinned or liked. Tech geekiness gets me – and a lot of other people, everytime. Writing Goodstuff – just a free for all to take in any inspiring images. Writers like to see things reminding them to write, yeah? Writing Inspiration for Kids – there are lots of pinboards created by teachers containing some inspiring ideas for teaching writing to kids. As I have a nine year old daughter, I made one for myself to collect all the ideas in. These are also being repinned quite quickly. There are other writers using Pinterest, and several of them have boards worth following, or pins on those boards worth swiping (called repinning) onto your own inspiration boards. I am slowly following people on Pinterest, so you will find many of those writer boards by looking my own profile up (and following me, lol). There are certainly a lot of ‘My favourite books’ type boards. With a little encouragement, you could entice readers of your blog to add your own book covers or books to their own boards. Warning – Using Pinterest can find you losing time, especially if you search through all those images already up there. However, for those times when you’ve browsed the web and come across an interesting image, simply using the Pin it tool bar button, or using your iPhone camera while away from your desk, can give you back a lot of your time. Pinterest is bigger than I thought. I love the idea of using it as a storyboarding tool. That’s a great idea. Lynda – Yes, Pinterest is very large, with thousands of crafters and etsy-users using it for many months to collect pinboards. RRW – I’ve sent you the invite, and hope to see you there, soon. Hi, would you mind sending me a pinterest invite? Thank you.